The process you went through from the initial arrest to your incarceration may have been a lengthy one filled with various emotions. When you were arrested and brought in for the first time, you were only suspected of committing a crime. As you met with your lawyer, you were made aware of possible defenses and the potential penalties you could face if convicted, but you were confident that it wouldn’t have to come down to that. Your trial comes and goes and the final judgment is handed down. You may have entered the courthouse as a suspect but you left as a convicted felon sentenced to life in prison. To you, this feels like the end, but it is vital that you are aware of your legal options for possibly shortening your sentence. Many people faced with the prospects of living life as a convicted felon, choose to stop trying after a conviction, but keeping hope alive can work to your benefit. Reach out to an experienced Orlando clemency lawyer to discover how you may be able to benefit from executive clemency. A reprieve is the temporary suspension of a sentence which can occur for multiple reasons. In the past, they have come as a result of overcrowded prisons or other extenuating circumstances. In regards to individuals facing the death penalty, a reprieve can put off the carrying out of the sentence to reconsider if it is necessary in that case specifically. A granted pardon results in the convicted person’s crime and penalty being forgiven. The head of state or governor will often grant a pardon when he or she believes the incarcerated individual has fulfilled his or her debt to society or is worthy of forgiveness for any other reason. A pardon will not erase the conviction from the individual’s record, but it may lift some disqualifications attached to the conviction. Clemency can be most beneficial to those who believe they were harshly punished for their crimes. 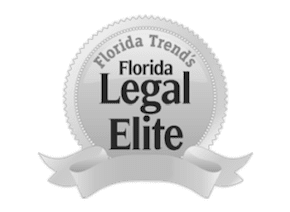 The Orlando clemency lawyers at The Umansky Law Firm can seek a reduction in your sentence and help prevent you from having to endure especially harsh penalties. Contact us today at 407-228-3838 for a free case evaluation.